Let me say that I find that I apparently on occasion become more abrasive and blunt than is called for. And so thanks for your patience. Your calculations and projections are interesting, and have value as much as I might hope mine could. I guess as I see it the "Stakeholders" of the future will need to decide what they want. As it is now, apparently half of Venus surface is in a supercritical CO2 condition. We might want to find out if any good minerals have been created by this situation. It may be that from the supercritical half of the surface are dissolved substances, and to the not supercritical portions are deposited substances. Is there a large value to these minerals? Can you get them to a use? Do you want to shut down this process? Are there other minerals of a more minor sort, but of a greater value? So, I would think we want a look at that. I suspect that we could get rid of the Sulfuric Acid clouds and replace it with Sulfur Dioxide and H20, if we could get a good Ozone layer on high. And I think it may be possible automatically if we could put a global magnetic field around Venus, and if that would hold the Oxygen to the planet, that currently gets electrically levitated off of the planet, and swept away by the solar wind. So that might allow cloud cities and this special supercritical CO2 process to co-exist. No promises on that, just a maybe. But lets consider the stakeholders options down the line. Should they simply say, we want to sell most of the atmosphere, and we want a world with a breathable atmosphere, then I think that can be accomplished, with presumed advanced robots and automation. I am capable of dreaming, so I will. Let me tell you of a notion. Perhaps you will entertain it for just a bit. We (The stakeholders, and us now dreaming) may have an option. Do you remember old Sci Fi about Mercury? The settlements on the terminator. They believed, I think, that Mercury would be tidal locked. But lets consider intentionally tidally locking Venus. In some ways I feel I might steal from a former member. Anyway, you would have massive solar power capabilities on the sunward side. You would have a somewhat temperate terminator between day and night. And you may have a deep freeze on the night side. You might also anticipate a very windy planet, where the wind will continually try to start spinning the planet, so you will have to compensate for that in order to keep your tidal lock. The intense wind will be great for power, wind mills and such. But you might have to have domed over cities, domes that could stand up to the winds. Probably on the dark side. Should you choose to, though you may use orbital mirrors to illuminate your cities in the darkness. Under these conditions, you might have an atmosphere from 2000 mb to 330 mb I am guessing. Of course you know that I prefer to off world most of the Nitrogen, so I prefer 330. But you would need to have enough atmosphere to prevent freeze out on the dark side. 330 may be enough. Really this is just my silliness. I have sometimes dreamed of being on a tidal locked red dwarf world. One where the day side is rather hot and dry, but on the night side might be a dark sea. I imagine stars reflected in the waves of that sea, as my boat moves through the water. I imagine lights on the shore that amplify and then dim, with the changing of the speed of the winds. Gardens under artificial lights, on the shore, powered by the wind. It might actually be a warm sea, who can say. I guess then there needs to be an ability to do something, and then you choose practical vs. aesthetic. Aesthetic = "AS" "THE" "TIC"
After all I will be expected to be quite dead long before any of this could be. So, lets grant each other the space to dream. Nitrogen moderates at what conditions oxygen burns and if you have to much oxygen to nitrogen we have an explosive burning situation for venus due to temperatures for when hydrogen or methane come in contact with a ignition potential. Floating curtains for reflecting solar energy once we start to reduce the atmosphere would also allow for cooling by reducing solar energy coming into the atmospher which remains as we draw it down. Research the question of can we make carbon fiber filaments to make composite tanks with from the atmospher? There is also the ability to print the materials via 3D as well. Not sure what else we would need to be able to store via using what we did not need plus other elements to make the containment while mining the atmosphere. "In this study, we made the first direct measurement of the processes involved in turbulent heating in a naturally occurring astrophysical plasma," researcher Christopher Chen said. , astrophysicists have uncovered the process by which energy is transferred between electromagnetic fields and plasma in space. Most of the visible matter in the universe exists in the form of plasma, an ionized state of matter. Understanding how energy is transferred to and from ionized particles in space can help scientists to better understand a variety of cosmological phenomena. Something that had bothered me was where would the heated co2 go once it escapes the planet and seeing the data of where earth went I am thinking that we would not want it to go to earth to increase the greenhouse gasses. ESA/NASA Solar and Heliospheric Observatory, SOHO, shows that the gaseous layer that wraps around Earth reaches up to 630 000 km away, or 50 times the diameter of our planet. "The Moon flies through Earth's atmosphere,"
Ship very large amount of the carbon dioxide in Venusian atmosphere to Ganymede... killing two problem with one series of giant CO2 packages. While we are at it we can move lots of other stuff from the other moons that circle Jupiter and Saturn for sure to places that need what we take from each..
knightdepaix, this is based on the temperature of the exosphere, right? The surface temperature can be very different, particularly if the atmosphere is CO2 dominated. I think Ganymede, at least, could retain a CO2 atmosphere with comfortable temperatures on the surface. Ganymede has a very severe radiation environment which would, I expect, break down CO2 into CO and O2 both of which could escape. You would need to keep a steady feed of CO2 to this body. At the altitude for mans balloons to work at is roughly 50k for a 1 atmospher pressure level the co2 will be in need of compression to over 75 psi before we can get liquid for to cool it down. So if we have a radiator at a little higher altitude and we lower the pressure the radiator would then cool the co2 before we start to compress it. I am thinking of giving it a solar shade to keep the radiator cooler as well and adding wind movement via fans to wick the heat away even further. My own feelings on this are that at first our Moon should be a place to construct machines, to transport to the orbit of Venus, and then to put dry ice into them, and some Nitrogen, and other things such as a pinch of water. Later this activity should shift to Mercury>Venus>>>>>>Destinations. What could be really fine is if shells could be built on the surface of the Moon and Mercury, and then launched from them to orbit. A chemical booster method of launch might be considered, with Lunar and Mercury insitu materials. It would only have to get it up to a very low orbit, and some other propulsion method(s) could be employed following that. There are quite a few possibilities. The "Canisters" moved to Venus orbit, you could convey atmosphere into them by some means. We can suggest rotating skyhooks, or ion conducting tethers. Then the objective would be to collect the atmosphere in a progression Ions>Gasses>Solids. No liquid phase for CO2 anyway. Even in the orbit of Venus, shade should be very cold. To maintain orbit while lifting Ions and/or gasses, a solar sailing device of significant magnitude. Solar wind? Photons? In reality the devices habitats could be binary in nature. Counter-spinning to deal with gyroscopic effects. One sunward section could deal with solar energy, and perhaps include habitat for humans, and it would provide shade for the cold partner which would condense CO2 and Nitrogen and perhaps some other gasses. I have some ambivalence about Venus. On the one hand if a magnetic field were to be imposed on Venus, my prediction is that the Oxygen generated abiotically by U.V. will not be swept off by the solar wind, and then some of it may form Ozone. 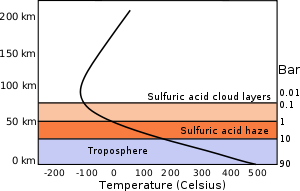 If so, then the hope would be that the Sulfuric Acid clouds would convert to water vapor and Sulfur Dioxide. From the heat at the base of the clouds. The U.V. being presumed to be mostly blocked by the Ozone, then the formation of Sulfuric Acid would be inhibited. Hopefully to the extend that the decomposing process of the heat at the base of the clouds would dominate. While the atmosphere would still be toxic, cloud cities would be made more safe by the presumed removal of most of the Sulfuric Acid. However the magnetic field would change the way that materials could be lifted to orbit. Instead of using the solar wind to provide the lifting force, then somehow, navigating within the imposed magnetic field would be the way. I am not sure how well that would work. It implies that you would also need to generate electric force to lift an orbital object to a higher orbit within the imposed planetary magnetic field. So, I am ambivalent. I think lifting atmosphere from Venus is the prime desire. Cloud cities are secondary, except if they facilitate mining the surface of Venus. I mentioned this previously: Mercury>Venus>>>>>>Destinations. I am attracted to two solar orbits to start with. One associated with Venus, and one associated with Mars. The relationship between these two orbits will be ~3 to 1. Three orbits of the solar orbit associated with Venus, to one solar orbit associated with Mars. Both of these situations will lend themselves to solar energy. Also, in each "Solar Orbital Ring", it will be possible to have subparts, where, an inner ring orbits just a bit faster than an outer ring. That way, populations will have opportunities to mix slowly, as each individual world will have new neighbors on a continuing basis. It will be possible to have spaceships which can navigate both rings without expending very much effort, as their orbits will be very similar. 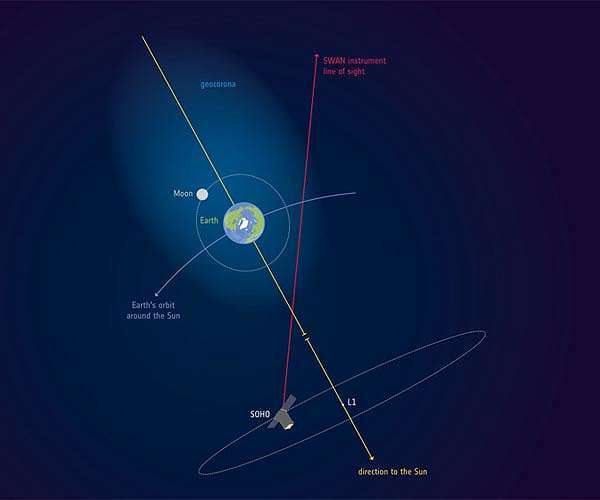 Solar propulsion of Photons or Solar Wind should work fine for this. And since there will be a general relationship of 3 orbits to 1 orbit, I think we can have cycling spaceships/habitats, where propulsion exchange can happen between the two rings, the Venus and Mars rings. While it is dangerous at this time to use cycling spaceships, in those times, it should be possible to have a rescue capability for a transfer vessel that fails to transfer Cycling Spaceship<>Solar orbit 3 or 1. By that time methods of propulsion should be rather well tested out as well, so such disasters should be held to a minimum level. If you don't like the two solar orbital rings, we could alternately use "Trojan locations associated with Venus and Mars. While the orbital resonance will not be exactly 3 to 1, Solar propulsion methods such as Photon or Solar wind should be able to compensate for any Cycling Spaceship method used. Lagrangian points 4 & 5??? And then we get to destination Jupiter and it's trojans at 4 & 5 locations. Decent sources of raw materials at all three sub-destinations, and also still solar energy is potentially viable. To go to Saturn, Uranus, and Neptune, and beyond, I think we would want Fusion power, which I believe will show up some time, 50-100 years from now. I am tired, I will mention that I think that for Saturn, Uranus, and Neptune it will be possible to mine the atmosphere(s), not to mention their Moons. Of course Pluto has lots of Nitrogen and other materials. It this would work out then almost no limits to human evolvement to higher levels. It is a potential, can't guarantee no knuckle draggers showing up in the action though. Nature apparently does not value intelligence, just dominance. We could hope to do better. But it is only hope. Launching from the moon to venus would require less fuel from that point as we can make the rocket suit that launch point more closely. While we would like to get man to the clouds of venus there is also "A VENUS ATMOSPHERIC SAMPLE RETURN MISSION CONCEPT" long before we get to the other plans. But if the plan is "Cooling the Planet - MIT Technology Review" then we need more stuff to get to venus to make that happen. Is using the energy in Venusian atmospheric heat and energy to convert both sulfuric acid to water, oxygen and sulfur dioxide and carbon dioxide to carbon monoxide and oxygen. Is a liquid oxygen-liquid or solid carbon monoxide or liquid oxygen-liquid carbon suboxide fuel couples useful for interplanetary transport from Venus to Mercury, the Moon, Earth and Mars? This cycle can split the water in sulfuric acid into hydrogen and oxygen that can be later made into ozone for the artificial ozone layer mentioned by Void. While sulfur can be extracted from the sulfur dioixde, what shall be done on the sulfur? If the sulfur is exported, it can be in forms of liquid hydrogen sulfide in sealed and inert plastic tanks or solid thio metal salts. These salts are carrier of sulfur and metallic elements in terms of the chemical elements within. The advantage of hydrogen sulfide is that it can displace oxygen in minerals --- many minerals contain oxygen -- and produces water. The byproduct is sulfide minerals that can be stored and extracted later for their chemical elements. Actually sounds pretty good chemically. I might add that I understand that Sulfur on it's own in a Vacuum is a relatively strong material. Not a metal but it would have some strength. The only problem for Oxygen injected into Venus atmosphere as it is now is that Oxygen levitates off of the planet electrically at this time. Then the solar wind tends to take it away. The reason it levitates electrically is for Venus being so dry apparently. That's why I thought of imposing a planetary magnetic field to keep the Solar wind away. But I seriously am happy with your thinking. Maybe some other notions will show up as well.